Whether you’re celebrating your daughter’s birthday or excited to show off your new custom pool, summer is the perfect time for a pool party. Here are some ideas and tips that will help you host an unforgettable pool party. To start off, choosing a theme for your pool party can bring all of your plans together. A unified theme will make it easier to pick out decorations and maybe even some matching music, and your guests may want to dress to fit. The options will vary depending on the age group, but ideas can include pirates, the beach, tropical paradise, and practically limitless possibilities. Great music is essential for a fun atmosphere. Set up a boombox outside, invest in docking speakers for your phone, or you could even splurge and blow your guests away with live music. Refreshments are a must for a great party. Food should be able to sit outdoors or in the sun for at least a little while, unless you have an outdoor kitchen area where you can store it. 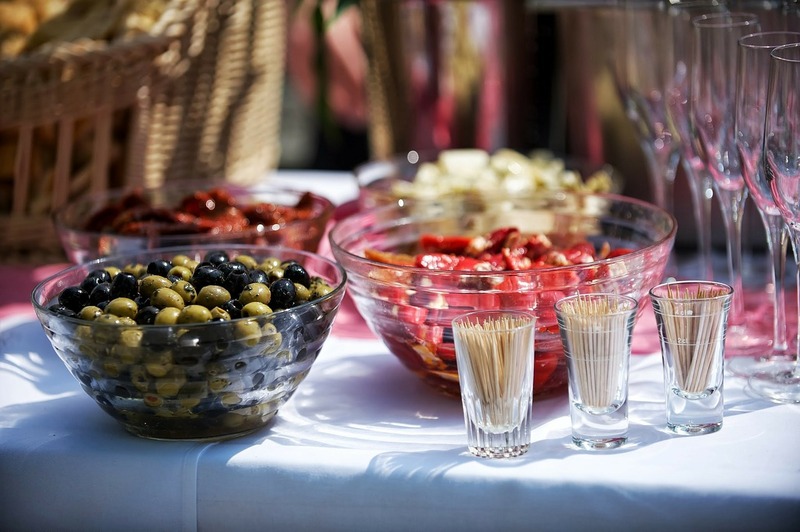 Chips, finger foods, small desserts, dips, and fruits are all excellent choices. Of course, you’ll also need some cold drinks to go along with the snacks. Enforcing safety is an important part of any activities near the pool. If you’re hosting a children’s party, you’ll likely need some extra supervision to keep an eye on things. It only takes a second for a fun party to take an unthinkable turn in the pool. For older crowds, keep an eye on any guests partaking in alcoholic beverages and set some rules about running near the pool, etc. Including some other activities besides swimming will keep things lively and guests entertained. You can tailor these activities to your crowd, but some great examples are limbo, a dancing contest, or a costume contest. Don’t be afraid to get creative! With these ideas and a little creativity, you can set up a fantastic pool party that you and your guests will enjoy. This entry was posted in Pool and Landscaping Tips, Pool Safety and tagged party by adminHWS. Bookmark the permalink.